Aloe Fleur de Jouvence (“Flower of Youth”) is one of the most effective restorative beauty collections ever assembled. It is a collection of six wonderful components – each designed to fill a special part in a complete regimen of facial skin care. Combining the benefits of traditional wisdom with the scientific knowledge of modern dermatology, Forever Living Products has spared no expense in researching and developing excellent products. Displayed in a timelessly elegant container, the collection also includes a mirror, mixing spoon and application brush. While each component is available separately for replacement, it is only through the combined use of all six elements that the full benefits can be enjoyed. Aloe Vera has always been great for the skin. Now, pamper yourself even more with Forever Living Products Aloe Fleur de Jouvence! Each product in Aloe Fleur de Jouvence has been developed with great care and attention to the daily needs of your skin. We start with pure, stabilized Aloe Vera gel, and combine it with nature’s unique cellular substances, Hydrolyzed Elastin and Collagen, along with exceptional moisturizers, emulsifiers and humectants. This creates a unique skin care range that helps counteract the threats of time, weather and environmental elements. The preventive and restorative Aloe Fleur de Jouvence program provides a daily skin care regime to help promote the naturally occurring attributes of youth, vigor, freshness and radiance to the skin. Note: Although Aloe Fleur de Jouvence products are comprised of the best quality, hypo-allergenic ingredients, as with any new product, it is always wise to first do a patch test on a small area of sensitive skin. *Facials will typically cost $80-$120. With up to 10 facials per regime, Aloe Fleur de Jouvence is a GREAT VALUE! Forever Alpha-E Factor, our skin-replenishing agent, contains rich ingredients designed to enhance your skin like nothing you’ve tried before! It moisturizes from within to deliver ultimate smoothness to your skin for a younger-looking appearance. •Vitamin E (as Tocopherol Acetate) – the “skin vitamin,” an antioxidant that combats free radical damage, softens and moisturizes. •Vitamin A (as Retinyl Palmitate) – a powerful antioxidant which enhances elasticity while moisturizing and reducing scaliness. •Vitamin C (as Ascorbyl Palmitate) – antioxidant which enhances elasticity. Also helps inhibit the formation of scar tissue. •Lecithin – an excellent emollient which improves suppleness of the skin. •Borage Seed Oil – provides the skin with gamma linoleic acid (an essential fatty acid) which helps restore moisture. •Bisabolol – a natural, soothing ingredient with a light citrus aroma, suitable for even sensitive skin. •Caprylic/Capric Triglyceride – a natural emollient from coconut oil which moisturizes without the heavy, greasy feel of other oils. •Soy Bean Oil – A texture-enhancing moisturizer with antioxidant properties. Help your skin RETAIN its natural moisture, RESTORE its resilience and RENEW its appearance with Forever R³ Factor Skin Defense Creme – a rich combination of stabilized aloe vera gel, soluble collagen and alpha-hydroxy acids, fortified with vitamins A and E, each vital to healthy skin. Alpha Hydroxy Acids (AHAs) come from natural plant sources and are also called Fruit Acids. Glycolic Acid is extracted from sugar cane, Citric Acid derives from citrus fruits, Tartaric Acid comes from grapes and Malic Acid is found in apples. Together, these fruit acids are exfoliants that loosen dead cells from the skin’s surface by dissolving the natural glue-like substances that refuse to release the dead skin cells. These cells create a barrier to moisturizing creams, so getting rid of these dead cells means that fresher cells are exposed in the skin’s renewal process. Since it takes 21-28 days for the skin renewal process to complete a cycle, allow a similar amount of time to realize the full benefits of R3 Factor. Forever Epiblanc’s exclusive formula is specifically designed to brighten the complexion and even skin tone while helping to diminish the appearance of dark spots. Our 100% stabilized Aloe Vera is an excellent base for natural botanicals such as Arbutin (Bearberry), Rumex Occidentalis and Natural Vitamin E, resulting in this extraordinary product. Forever Epiblanc is most effective when applied directly to blemishes or dark spots on the skin. Use of Forever Living’s Aloe Sunscreen, in combination with Forever Epiblanc, is recommended during the daytime. “More than skin deep” is Forever Aloe Scrub®. With its unique combination of stabilized aloe vera gel and solid micro-spheres made from pure Jojoba Oil, this effective skin cleanser is gentle enough for everyday use and strong enough to clear away the debris that accumulates in the delicate pores of the skin. In combination, these two natural ingredients will clear the way for the skin’s own unique renewal process, while helping to protect it from the drying and damaging effects of synthetic cleansers. This gentle, lightweight aloe gera gel formula works quickly and gently to remove eye makeup. Aloe Barbadensis Gel provides the caring, conditioning and soothing benefits that are perfect for the delicate eye area. Rehydrating Toner is a non-drying, alcohol-free formula, that contains natural Aloe Vera and Witch Hazel, together with special skin moisturizers and plant extracts for toning. It also contains Collagen and Allantoin for cell conditioning. Rehydrating Toner is a gentle preparation used to remove the last traces of cleanser, makeup, impurities and dull, lifeless surface cells, thus providing good secondary cleansing and toning to reduce pore size. It removes residual oils and dirt while invigorating the skin and leaving it clean, smooth, balanced and stimulated. Circulation is enhanced and rehydration is encouraged as the skin is gently refined. Aloe Cleanser is prepared from hypo-allergenic ingredients to create a light, non-greasy, non-irritating lotion that is pH and moisture-balanced. It is fast and thorough in removing makeup, dirt, and other invisible skin debris. Use it as the first step in preparing your skin for a full Aloe Facial, or simply in the daily, routine skin care program of our Aloe Restorative Beauty Regime. Aloe Cleanser contains just the right amount of Jojoba Oil and water to leave your skin feeling fresh and thoroughly clean without drying! Firming Foundation Lotion is a state-of-the-art skin care lotion specially formulated for use in our Aloe Fleur de Jouvence beauty regime. Ideal for daytime use to counteract the elements, it combines the science of dermatology with the art of cosmetology to produce an effective product that reduces the signs of aging by helping firm the skin, re-texture and tighten the pores, and to provide a foundation for makeup application. To achieve these results, the lotion contains a blend of Aloe Vera and other special moisturizers, humectants and conditioners, together with the Collagen and Elastin needed to maintain good skin structure and prolong a youthful-looking appearance. It also contains ingredients to help counteract environmental elements such as wind and pollution, whose cumulative effects may jump start the signs of aging. Also contains vitamins A, C and E.
Mask Powder is a unique combination of rich ingredients chosen for their special properties to condition the skin and cleanse the pores. It is designed to blend perfectly with our Aloe Activator to create a thin mask for easy application to the face and neck. Albumen and corn starch provide drawing and tightening properties, while kaolin absorbs excess oils. Allantoin and chamomile help to condition and rejuvenate the skin. Recovering Night Creme is a primary component of the Aloe Fleur de Jouvence collection. It contains polysaccharides and other skin enchantments which form a protective barrier against moisture loss. Natural lipids for the important oil/water balance are provided by wheat germ glycerides, apricot kernel oil and jojoba oil. Soluble collagen and hydrolyzed elastin are incorporated for maintaining good skin structure and reducing line and wrinkle appearance to help combat signs of aging. Special skin enhancers, derived from our plant and bee product extracts, are also included. The moisturizers in Recovering Night Creme give life to the look and feel of your skin. It is designed for night use to condition the skin while the body rests, helping to restore the “Flower of Youth” – skin that is youthful in its appearance, pliable, smooth and taut. It is a superior, velvety cream that restores fullness to even the finest wrinkle lines, keeping the skin supple, while helping maintain elasticity and moisture. Aloe Activator contains stabilized Aloe Vera gel and Allantoin, an organic cell renewal agent. Aloe Activator is a superb moisturizing agent, containing enzymes, amino acids and polysaccharides. It makes the ideal liquid partner to work in combination with our Facial Contour Mask Powder to moisturize, cleanse and condition. 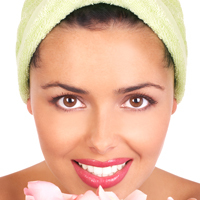 Dead skin cells are removed by the mask, leaving new cells to give a fresh, vibrant and more luminous look to the skin. Our stabilized Aloe Vera makes it even gentle enough to use near the eyes. Aloe Activator is incredibly versatile. Although regarded as a principal component of the Aloe Fleur de Jouvence regime, it is extremely effective for a number of other purposes, such as a skin cleanser and freshener. In this capacity, apply to a cotton ball and wipe the entire face and neck gently and thoroughly until clean. Forever Marine Mask® provides deep cleansing while balancing the skin's texture with natural sea minerals such as sea kelp and algae, plus the super moisturizing and conditioning properties of aloe vera, honey, and cucumber extract. This easy-to-apply, deep penetrating mask will leave your skin feeling refreshed and revitalized. Your skin will love the exceptional quality of the natural ingredients found in Forever Marine Mask! B) Purchase wholesale- To be a smart consumer you may want to register as a FLP distributor and purchase at Wholesale Price's saving anywhere from 15% to 50% OFF..